The report – expected for months and finally scheduled for publication on Thursday – will paint a devastating picture of the safety measures required of the EU’s 68 nuclear power plants. Bellona phycist and general manager Nils Bøhmer in May 2011 was part of a group that advised European Energy Commissioner Günter Oettinger on how the stress tests should be conducted. The EU-sponsored stress tests conducted on 134 nuclear reactors point to a myriad of potential safety hazards, notably in Britain, France and Spain, according to the report obtained by Bellona and other news agencies. But the draft does not go as far as recommending the closure of a single plant. And, as sternly as the report reads, anti-nuclear groups and several Members of European Parliament (MEPs) say the report’s warnings do not go far enough. For its part, the regulatory body for European nuclear safety has urged the Commission not to use language that could undermine public confidence, the BBC reported – pointing again to ever present nuclear industry influence in underplaying dangers. In the report – commissioned after Japan’s Fukushima nuclear disaster in March 2011 – the European Commission estimates the cost of improving nuclear safety across the continent “in the order of 10-25 billion euros,” and wants all upgrades to be closely monitored and then finalized by 2015. By Bellona’s estimates, at an average cost of €20 billion to upgrade European nuclear power plants, each of Europe’s 68 nuclear stations – in a figure based on the funding being spread evenly – need at least €300 million in upgrades to meet safety specifications that the leaked report indicated they are lacking. Bellona President Frederic Hauge called this a “shocking” amount of money, “enough,” he said, “to build five mega nuclear power plants a year” based on an average nuclear power plant construction cost of €3 billion. “It is a crime against the European community that the nuclear industry is competing with carbon capture and storage and renewable sources of energy by cheating on the safety of their plants and deflating the real cost of their operations,” said Hauge. “Bellona appreciates the efforts of the Commission to stress test European nuclear power plants in the wake of Fukushima, and the results are shocking – it is now time to show leadership,” he said. The report is to be officially released by Commissioner Oettinger on Thursday, reported AFP, and may undergo slight revisions before its final presentation. The report’s recommendations will be put to European Union leaders for approval at an October 18-19 summit, said the agency. With 134 European reactors located in populated areas – reactors with more than 100,000 people living within 30 kilometers of them – “the EU must learn the lessons of Fukushima to further reduce the risk of nuclear incidents in Europe,” the report says. The 25-page document was drafted with the participation of the 14 EU nations that operate nuclear power plants, as well as Lithuania, Switzerland, Ukraine and Croatia. The European stress tests simulated safety in case of floods, earthquakes and airplane crashes when “normal safety and cooling functions” are shut down. Four reactors in two unnamed countries would have less than an hour to restore safety functions if electrical power was lost, the report adds. The report also notably cites the case of 10 reactors where on-site seismic instrumentation has yet to be installed. In some 50 others seismic instruments needed to be upgraded. In France, Europe’s largest nuclear power producer which relies on 58 nuclear reactors for 80 percent of its electricity, specific failings were found in all of the country’s reactors. 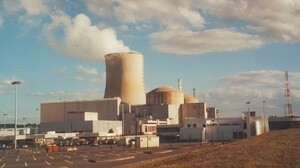 The report gave poor marks to French nuclear stations across the board for lacking safety equipment in case of severe flooding or earthquakes. Earlier this month, a blast of escaping steam burned two workers at the Fessenheim nuclear power plant in eastern France, which houses the country’s oldest nuclear reactors, and has been a regular target of anti-nuclear protests. Fessenheim, close to France’s borders with Germany and Switzerland, opened in 1977 and draws water for cooling from the Rhine, but activists say its location makes it vulnerable to seismic activity and flooding. French President Francois Hollande has promised to shut down the Fessenheim facility by 2017, a year earlier than scheduled. The French plants however are equipped with hydrogen “recombiners” to prevent hydrogen explosions – something that dogged efforts to bring Fukushima Daiichi’s triple meltdown under control. Ten British plants do not have recombiners, nor do five of the six Spanish ones. Two power plants in Finland and Sweden were criticized for having no automatic backup safety system in the event of a power loss. Other shortcomings reported in the UK included a lack in most of the country’s nuclear power plants of alternative emergency control rooms to use if the main ones become contaminated by high radiation, says the report. While the stress tests found deficiencies in many of Europe’s nuclear reactors, many MEPs and anti-nuclear activists say they failed to address risks in crucial areas, such as ageing technology, terrorist attacks or human error. Some governments have reappraised their nuclear energy strategy in the aftermath of last year’s Fukushima disaster, with Germany deciding to abandon nuclear energy for green technology and cleaner gas- and coal-powered plants by 2022. Switzerland likewise has agreed to shut down its five nuclear power plants by 2034, and Belgium is weighing whether it will follow suit. France, while still spending money on enhancing nuclear power, last month announced it would aim to lower the country’s dependence on nuclear energy to 50 percent by 2025. Italy, for its part, voted in an enormously popular referendum over the summer to not even begin a nuclear power program. OPINION: Germany’s Siemens delivers staggering blow to Russia’s nuclear interests – will Rosatom recover?